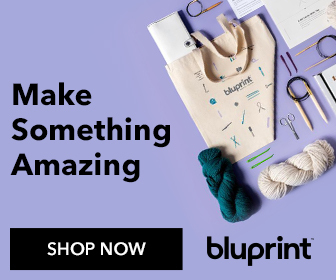 Free Canvas Book Bag Sewing Tutorial! 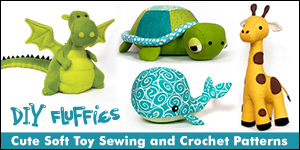 This sewing tutorial is sponsored by Brightly, an online resource to help parents and grandparents raise lifelong readers and book lovers. Find new books to read with your little bookworm from their list of The 50 Best Books for 5- and 6-Year-Olds! I have 4 kids, each with one extra-curricular activity during the week. There are times when siblings have to wait through each other's soccer practice or robotic competitions and being prepared with a stash of books to read makes times like that much easier. This book bag is perfect for your 'grab and go' stash of reading material. Plus there are small pockets on the sides for any other necessary items. This finished tote measures 10'' tall and 15'' wide, not including the padded handles. I used Monkey's Business ABC to Z from Alexander Henry for the handles above. So cute! In fact, I liked the 'kid' version so much that I decided to sew a more grown up book bag of my own. It's already full of quilting magazines and a drawing notebook for me to indulge in while I wait in the school car loop. Sewing this bag was a real treat too. I loved mixing inexpensive natural cotton duck fabric with some of my favorite colorful fabric prints. And guess what the handles are made of? Batting scraps trimmed from my latest quilt project! heavy duty needles such as Schmetz Microtex Jeans 100/16 or Superior Titanium coated Topstitch needles, also size 100/16. I really like both of those brands. 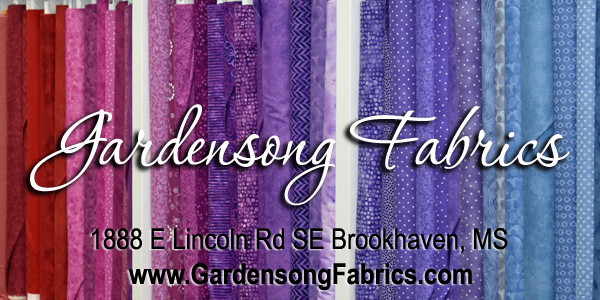 Tips: Cotton duck fabric has a beautiful natural color and stiff contrast with soft quilting cotton. It is perfect for this bag that does not have a lining or interfacing. If you decide to use a different fabric, make sure it is upholstery weight or heavier. Use a pencil and a bowl with a diameter of about 7 1/2'' to round the two bottom corners of the bag front and back rectangles. Cut along the marked lines. Every piece needs to be pressed. On the bag front and back pieces, fold the top edge down 1'' and press. Fold down another 1'' and press again to make a 1'' hem. Fold each pocket piece in half to make a 5'' x 7 1/2'' rectangle and press. Press each strap piece in half lengthwise. Open and press the raw edges almost to the center. When both are pressed, there should be a gap of about 1/4'' between them. This helps the batting fit. Open one side and lay the batting or fusible fleece strip inside. Fold the strap in half again and press. Using the heavy duty thread, sew close to both long edges of the straps. Then sew right down the middle. Lastly, sew between the middle line and the outer edges. You should have 5 lines of (more or less) even topstitching. Don't worry if it's not perfect. Sew along the top folded edge of each pocket piece. Fold a bag side piece and a pocket piece in half to find the centers. Center the pocket on the bag side with the bottom edges aligned. Pin. Baste the sides of the pocket piece in place 1/8'' from the edges. Repeat for the pocket on the other side of the bag. Pin a strap in place with the raw edges at the bottom of the bag and the strap edges overlapping the pocket sides by about 3/8''. Note that the top of the bag is still folded the way that you pressed it. Place pins horizontally on each side of the strap halfway between the pocket opening and the top fold of the bag. This is the turning point. Stitch each handle to a bag side as shown in the picture above. Sew on top of the outer lines of topstitching, crossing the strap where you have placed horizontal pins. Unfold the top hem and pin the bag pieces right sides together with the handles sticking out the top. Sew around the sides and bottom with a 1/2'' seam allowance. Clip notches into the rounded corners. Sewing bias binding to the seam will make a cute and clean finish on the inside. Open the binding and place it against the seam, right sides together. With the bag's top hem unfolded, the short end of the bias trim should be just under the second fold (which will be the top edge of the bag - first picture above). 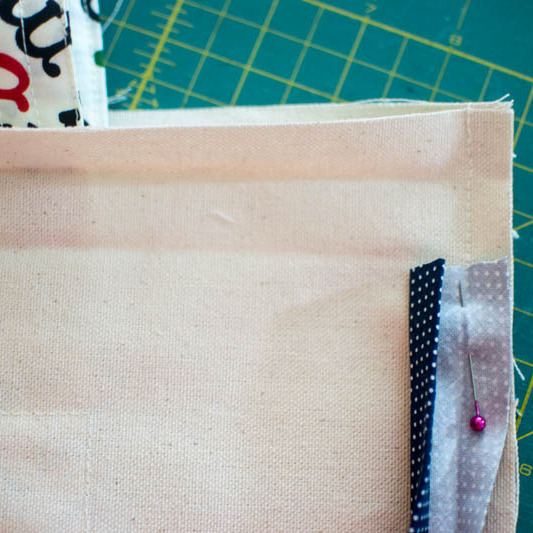 Sew the binding strip around the bag with a 3/8'' seam allowance. When you reach the hem on the other side, trim the extra binding away just under the second fold (second picture above). Flip the bag over, wrap the binding around the edge, and sew it down close to the folded edge (third picture above). Using small scissors, clip to the stitching at the fold lines on both sides of the bag. Then you can re-fold the hem and push the seam allowances to one side or the other, what ever way makes the hem lay flatter. Sew the hem close to the folded edge. Then fill it with books!